From Jeremy Scott's Moschino quilted McDonald's box bag to Lazy Oaf's cute cartoon chips socks, fashion is having a fast food moment... and we're loving it! 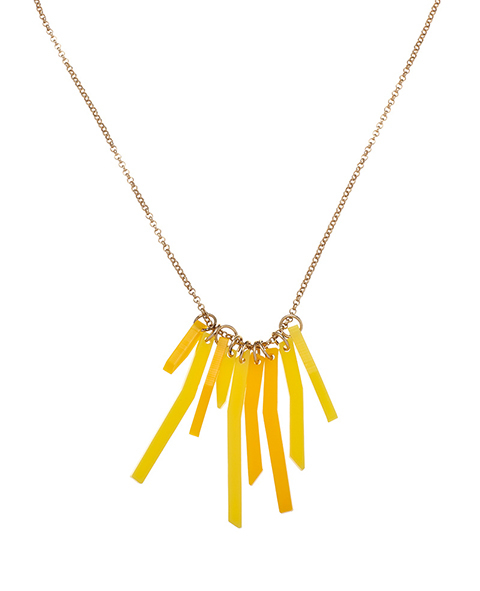 We couldn't resist translating some of our favourite fast food treats into playful Perspex jewellery in our new collection. Slide into a booth at Tatty Devine's very own diner and order a miniature version of an all American classic. Ketchup or mustard? Don't worry, we've got condiments covered, too. There's even a nod to movie theatre favourites with retro inspired popcorn pendants. Take your pick now... 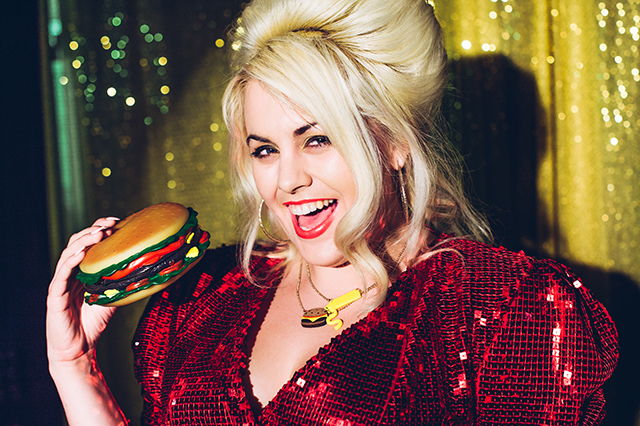 Whether you're a MEATmission or Shake Shack kinda girl, tuck in with our Cheeseburger Necklace (£30): We're big fries fans at Tatty Devine HQ! 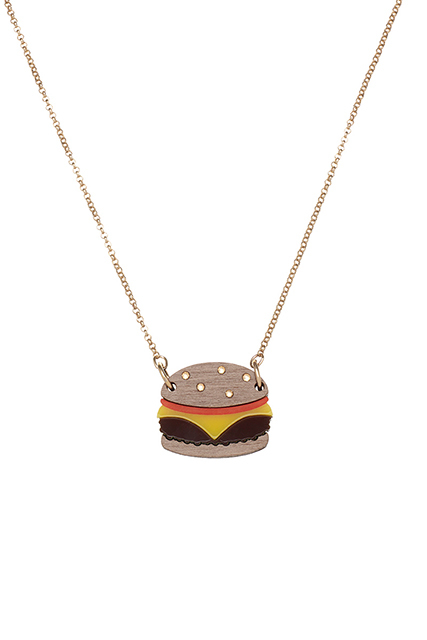 Show your support for the tasty treat with the Fries Necklace (£30): Beef, pork or veggie? No true foodie could resist our saucy (get it?) 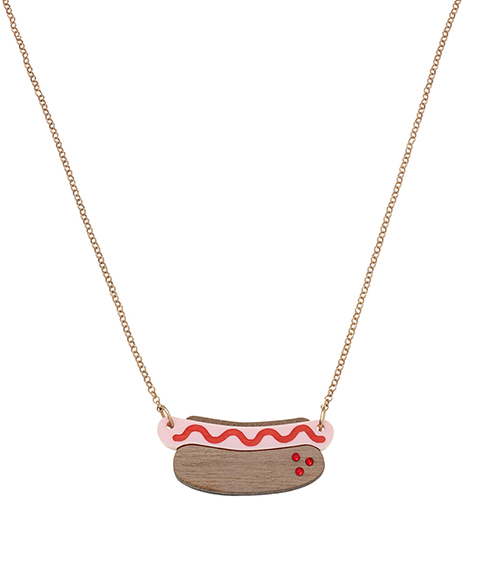 Hot Dog Necklace (£30): Sunny side up! 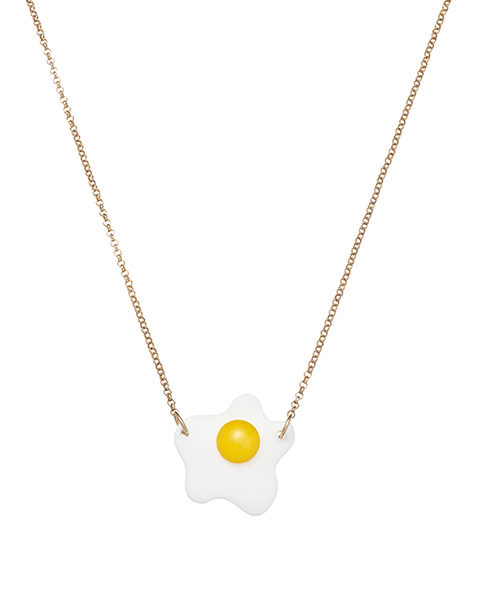 The jewel in the crown of every fry up, it's our Fried Egg Necklace (£21): Go for a dollop of the good stuff with the Squeezy Ketchup Necklace (£18): Like it hot? 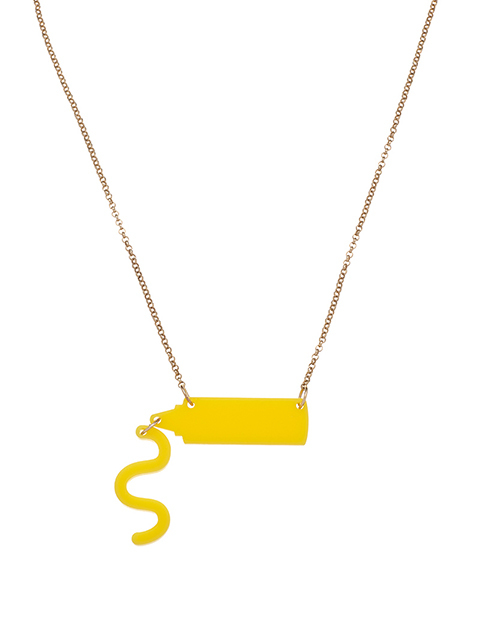 We recommend the Squeezy Mustard Necklace (£18): Blockbuster or indie classic? 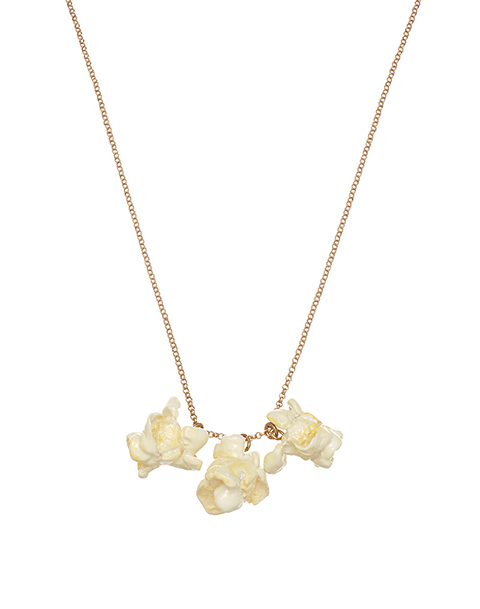 Just don't forget your Popcorn Necklace (£18): Sweet or salty? 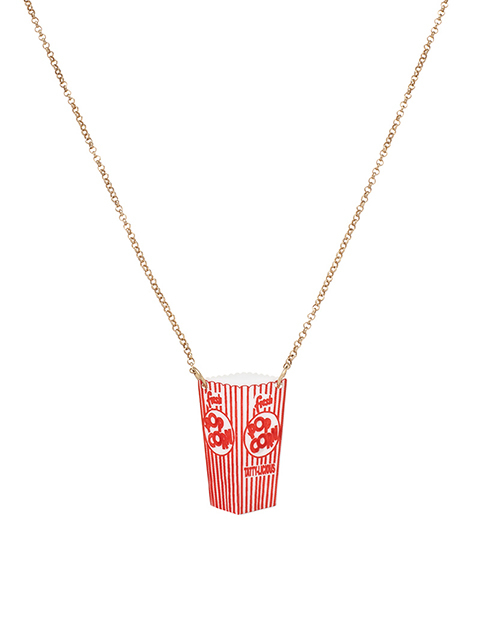 The choice is yours with our classic Popcorn Box Necklace (£21): Feeling hungry? Take your pick and shop the new collection now! Calling all fast food lovers! Join Team Tatty and learn how to make your very own sparkling statement necklace at our Deluxe Fries Necklace Workshop. Tickets are limited - book now.